Couscous is a type of hard wheat semolina accompanied by meat, vegetables, legumes and nuts typical of Moroccan cuisine. Today we are going to prepare a Couscous of vegetables, a very nutritious dish, which brings energy to our organism and high in fiber, which we satisfy. Couscous is a very nutritious food, since it provides a lot of carbohydrates, especially starch. Therefore, it is an ideal food to provide energy to our organism, and thus, becomes a food to be considered for people with diabetes and athletes. It also provides proteins, mostly in the form of gluten, and is very low in fat. It provides large amounts of fiber, which helps prevent constipation and regulate intestinal transit. 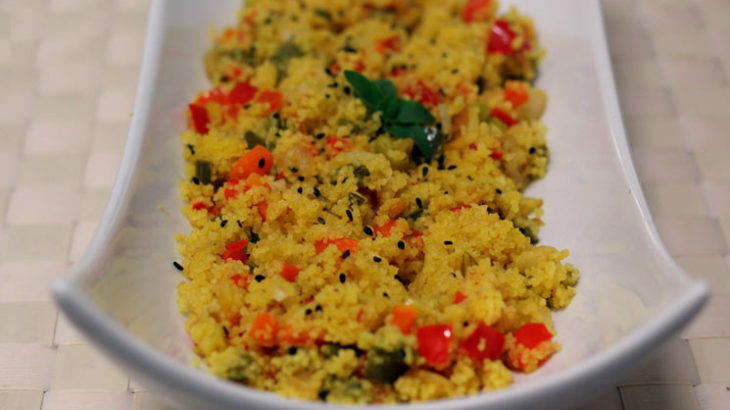 Also couscous contains vitamin B and E and minerals such as calcium, iron and potassium. It is perfect to eat it hot or cold. Normally the couscous is steamed but if the redry with water in 3 minutes, much more comfortable. We heat the broth of chicken in a pot. Once hot, remove it and will miss the couscous to make it rehidrate for 3 minutes. Then, we will miss him a little bit of butter so that the grains of couscous are released. Next you cut zucchini, red pepper, green pepper, onion and carrot into small pieces, and cast them into a pan previously heated with a little oil. We sauté the vegetables on medium heat for 15 minutes, more or less, and we will pour salt and pepper to our taste. Finally you must add the vegetables to the couscous, with a small teaspoon of curry a little black sesame. 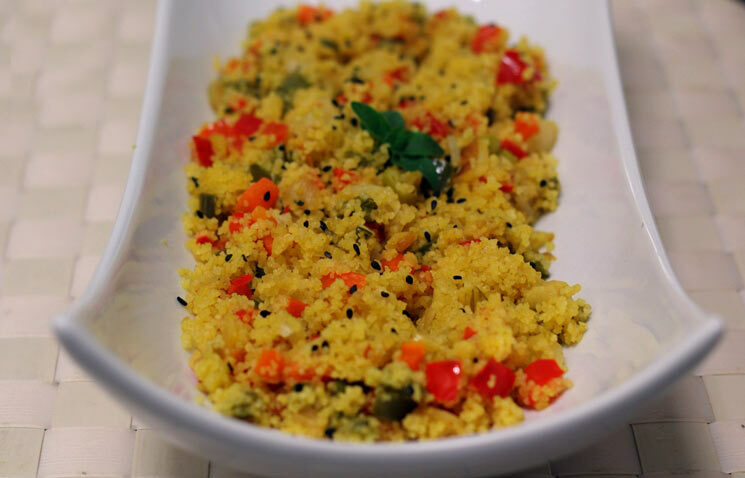 And ready our cuscus ofvegetables ! In just 20 minutes we will have a very nutritious dish, with lots of energy and quench, ideal for keeping our menuteraneo plan. Diet, Mediterranean Diet, Mediterranean Recipes health, healthy diet, healthy recipes, mediterranean diet, mediterranean recipes. permalink.